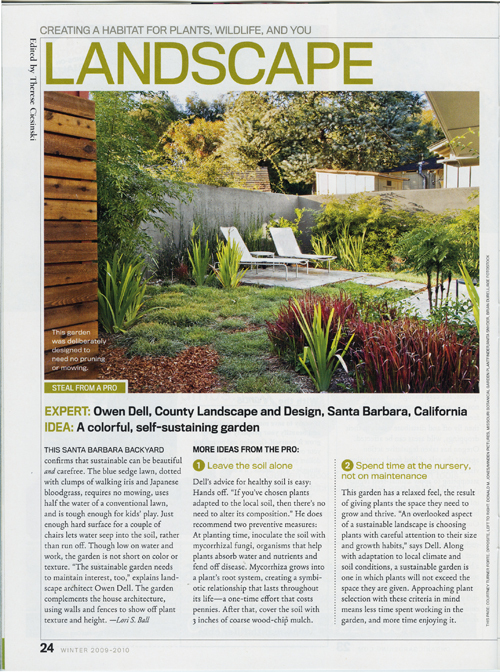 Check out the latest Organic Gardening Magazine to see an assignment we shot for them. We went to a Montecito home to shoot this beautifully landscaped yard. One part of the article talks about how the design and plant choice shows seasonal color that compliments the modern lines and architecture of the home. Being gardeners ourselves (or we try to be!) and inspired by modern design, this was a fun shoot!